May 9th-13th is National Nursing Home Week! We are celebrating all week long with tons of fantastic fun for our residents and staff members. Time to get the gardens planted at Bridgewater! Last year they were beautiful and based on all the rain we’ve been getting so far this month, we are expecting nothing less this year. Ice Cream sundaes will be available for everyone to enjoy along with all the fixins’. The Ross Park Zoomobile will be here all day giving the residents the opportunity to see some exciting zoo animals. We will once again be seeing what type of talent Bridgewater has to offer. 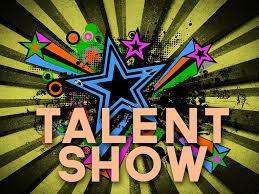 Both residents and staff members are welcome to show off whatever talent they have. Come prepared for singing, dancing, jokes, and every sort of exciting talent you can think of.